"If you wanted the good stuff, you went to Hutzler's," said Governor William Donald Schaefer and for generations of Baltimoreans, Hutzler's represented the height of downtown shopping, simply the place to shop. 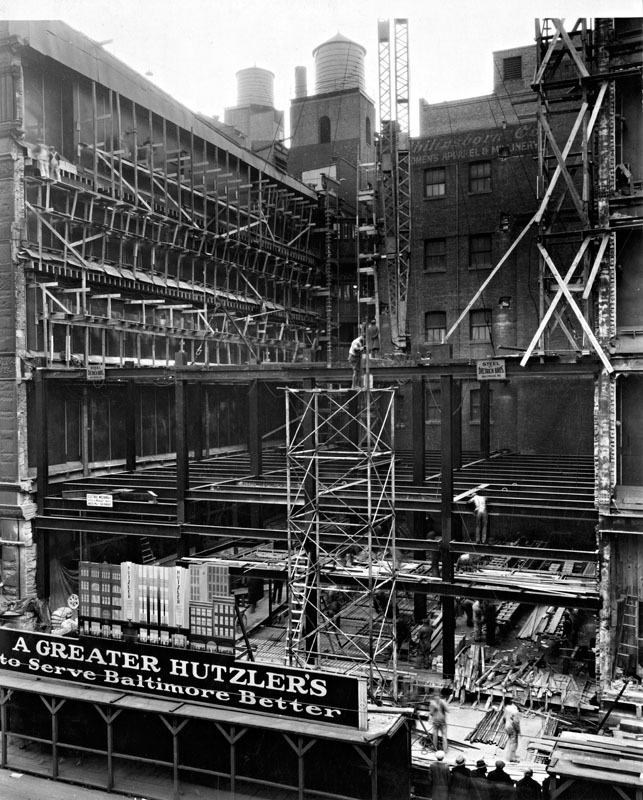 Many Marylanders still have fond memories of taking a streetcar down to Howard Street to shop at Hutzler's - the grande dame of Baltimore department stores with the richly detailed 1880s Palace building the modern 1930s Tower building next door. 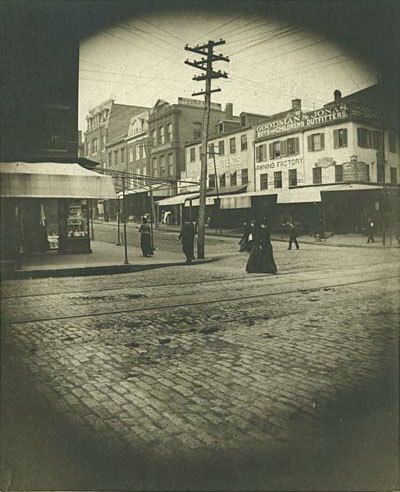 Founded in 1858 as a single storefront at the corner of Howard and Clay streets by German-Jewish peddler Moses Hutzler and his son Abram, the store soon expanded to two additional Howard Street storefronts. Abram welcomed his brothers Charles and David into the retail operation in 1867 and the business incorporated as the Hutzler Brothers Company in the early twentieth century. The store carefully cultivated an image as not only a purveyor of fine goods, but a destination in itself. 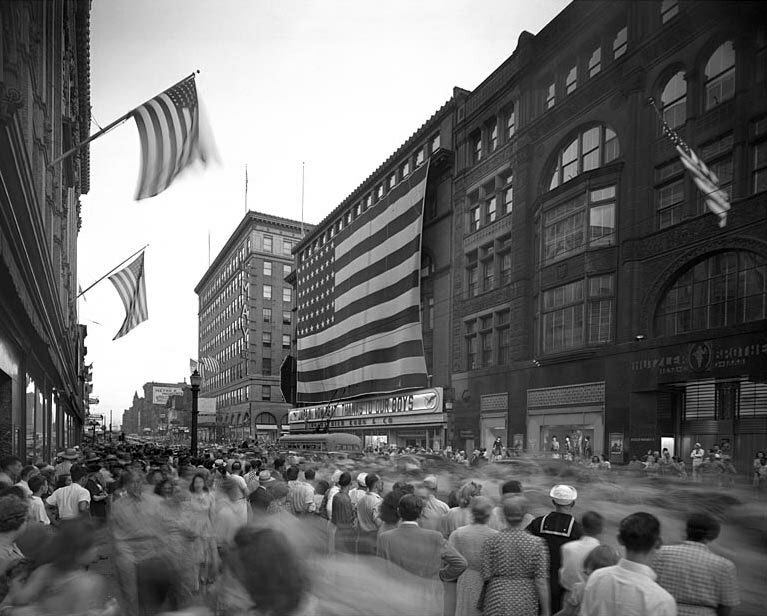 Hutzler's prided itself on being a place where shoppers could spend an entire day, complete with lunch in The Colonial or the Quixie, a haircut in the Circle Room Beauty Salon, and a shoeshine at the Shoe Fixery on the 8th floor. 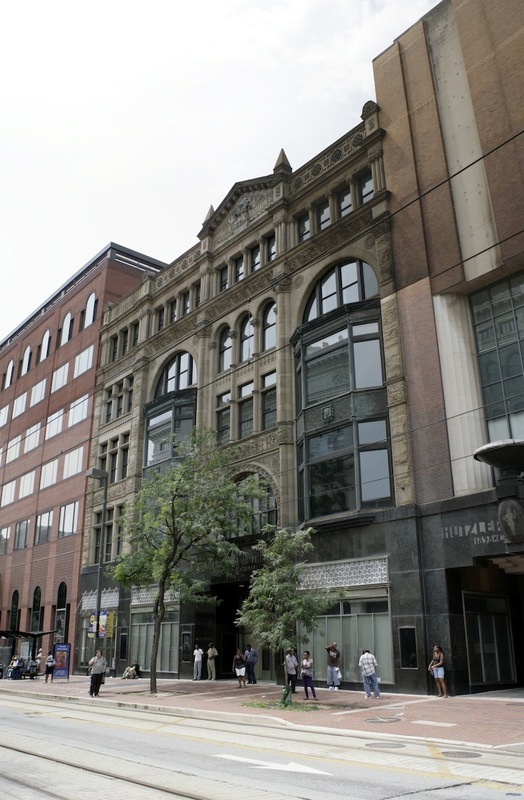 The magnificent "palace" building on Howard Street reflects the reputation for class with a ornate Nova Scotia gray stone façade designed by the firm of Baldwin and Pennington. The store continued to grow in the twentieth century with the construction of the Art Deco "tower" building in 1932 (which gained five additional stories in 1942) designed by architect James R. Edmunds, Jr.
Hutzler's claimed many innovations in Baltimore retailing including the widespread institution in 1868 of the now standard "one-price policy," which replaced a system of bargaining that favored the loudest or boldest bidder. 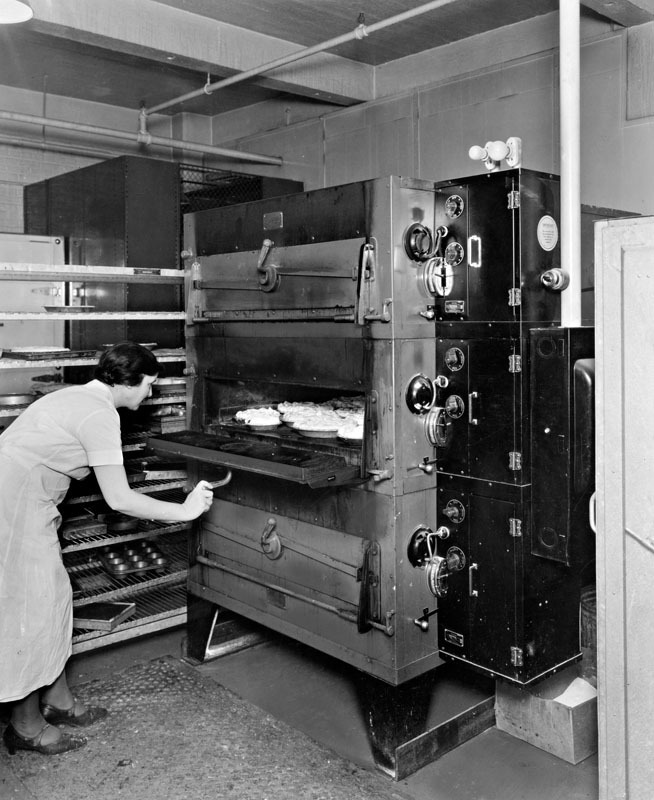 Hutzler's offered an early liberal returns policy and was the first department store in Maryland to boast a fleet of delivery trucks. 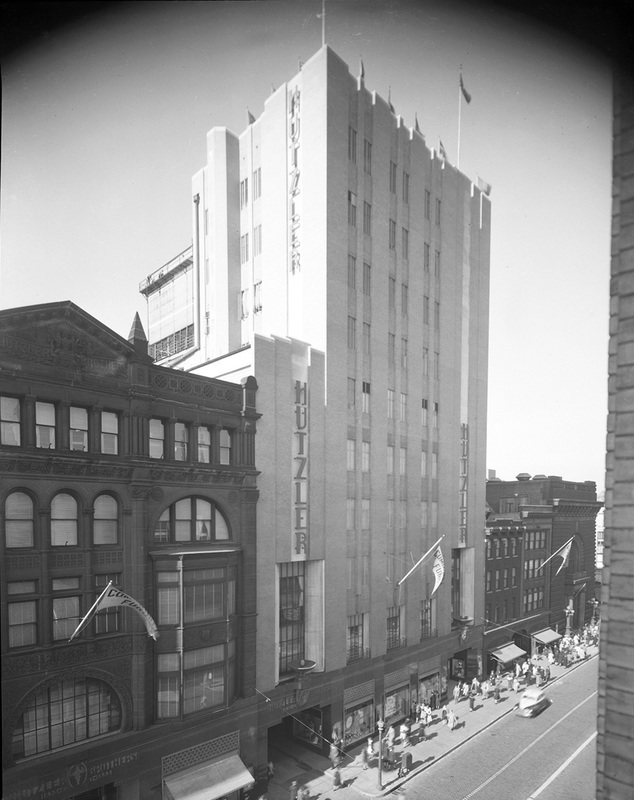 Like many department stores across the nation, Hutzler's sought to employ the latest technology; they installed Baltimore's first escalator in this building in the early 1930s. 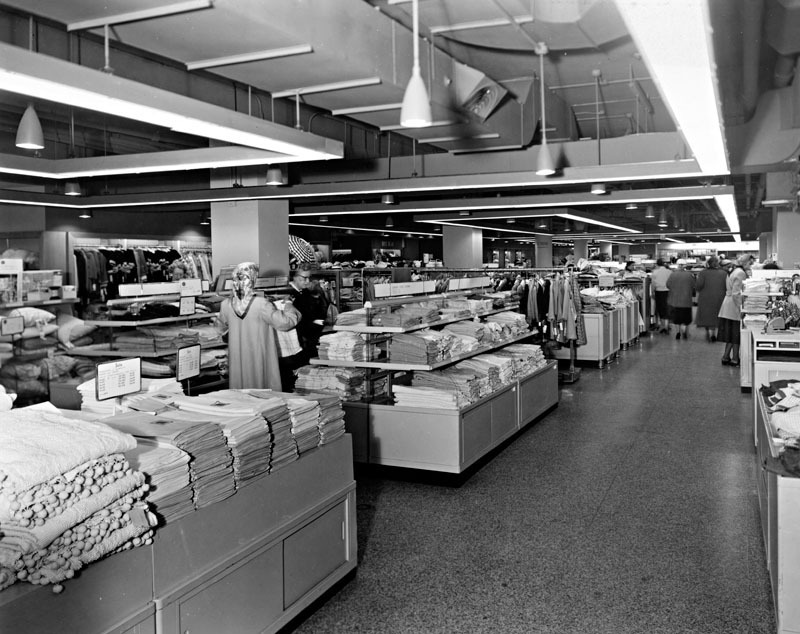 In 1952, Hutzler's expanded to the Baltimore suburbs, opening a store in Towson, Maryland, which was quickly followed by eight additional suburban outlets. 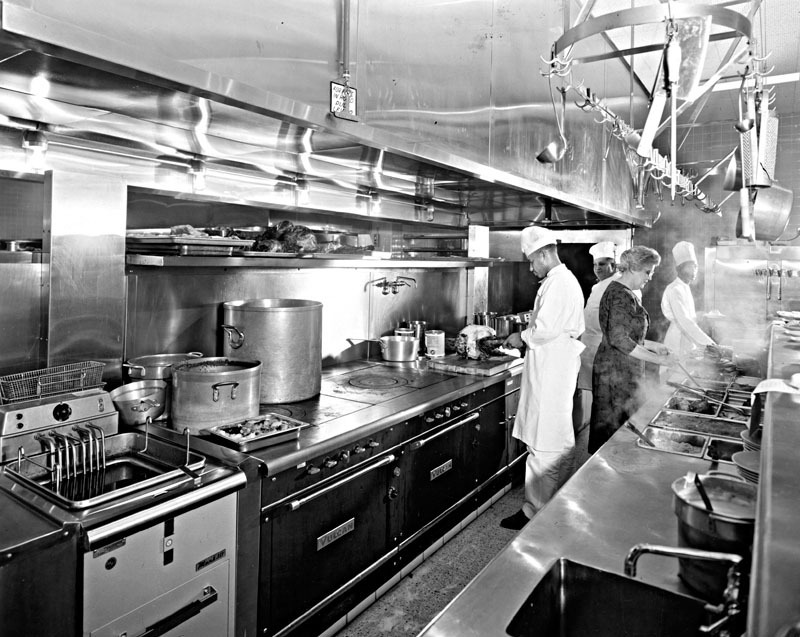 Despite their forward-looking expansion, competition from national retailers and the continued decline of downtown business forced the 132 year-old family-owned business to close in 1990. Theresa Donnelly and Sydney Jenkins, “Hutzler's ,” Explore Baltimore Heritage, accessed April 19, 2019, https://explore.baltimoreheritage.org/items/show/92. Published on May 10, 2012. Last updated on Nov 27, 2018.